Have you been playing sports for as long as you can remember? Has it been your dream to play sports in college? Collegiate sports provide opportunities to learn, compete, and succeed. Student-athletes receive academic support, medical care, and access to outstanding coaching, facilities, and equipment. Plus, student-athletes tend to graduate at higher rates than the general student body and feel better prepared for life after college. 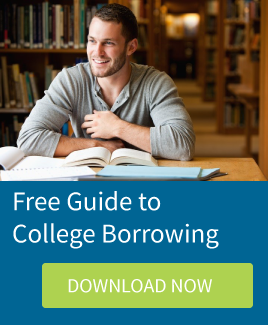 All students with an interest in Division I or II programs, but especially those interested in making official visits (expenses paid) in the fall of their senior year should register with the Eligibility Center as part of the college planning process to ensure they have met the standards and are academically prepared for college coursework. You can register online at: www.ncaa.org and follow the links to register to become a student-athlete. The Eligibility Center certifies that you have completed a core of courses that may be different from your high school's graduation requirements, including two years of natural or physical science. Also be aware that the NCAA core requires four years of English. Check with your guidance counselor if you have any questions or concerns about these requirement. The opportunity for most students to participate in Division I or Division II intercollegiate athletics is relatively slim. You need to do an honest self-assessment of your athletic skills. 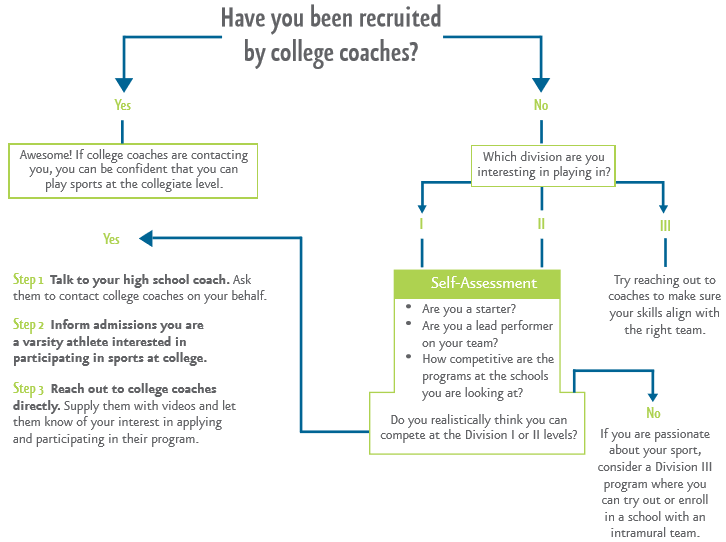 Many college coaches will recruit athletes they believe to be the best fit for their team. If you feel strongly about your talent and you have not been contacted by a coach, reach out to them directly and provide them with an athletic resume. Most colleges offer various intramural programs and Division III athletic programs are often less competitive than Division I and Division II sports. Check with the college admission or athletic office to get an idea of what is offered. For free college planning assistance, book an appointment with the RISLA College Planning Center.